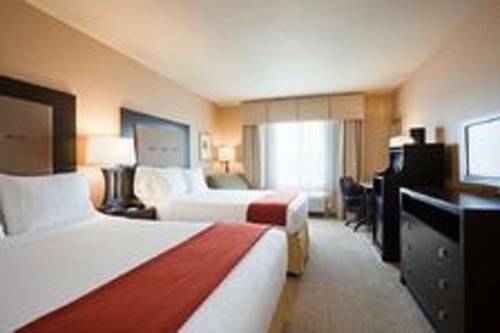 Welcome to the Holiday Inn Express & Suites hotel in Batavia While you're out exploring, bring your family along so you can check out the shopping in the area or take a short trip to the Jello museum. Who can resist riding a roller coaster (or six) at New York's largest amusement park, Darien Lake Theme Park? So come check into the Holiday Inn Express in Batavia. You'll be charmed by the fun of western New York. Bob Evans: Casual American chain started on an Ohio farm is known for family style meals and a country vibe. TargetTarget Corporation (NYSE TGT) is an upscale discount retailer that provides high-quality, on-trend merchandise at attractive prices in clean, spacious and guest-friendly stores. Terry Hills Golf CourseTerry Hills boasts a beautifully manicured 27 hole golf course with rolling hills, challenging greens, and strategically placed sand traps. Darien Lake Theme ParkDarien Lake is New York's largest water & theme park with rides, thrills and coasters the whole family will adore.